We are book people. The words, the stories, getting lost in other worlds, discovering new ones...we are so book people. 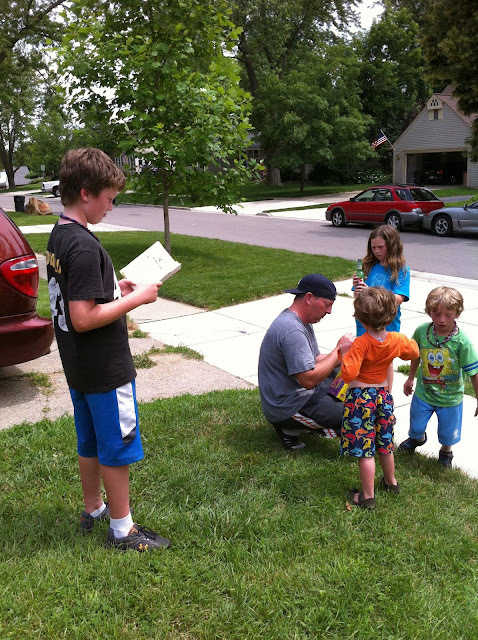 I love reading aloud to the kids. 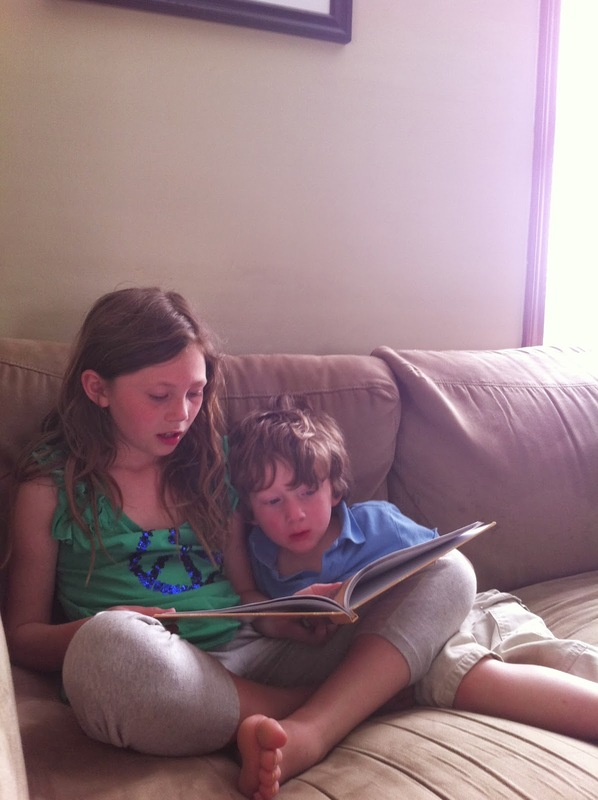 The kids love reading to each other. 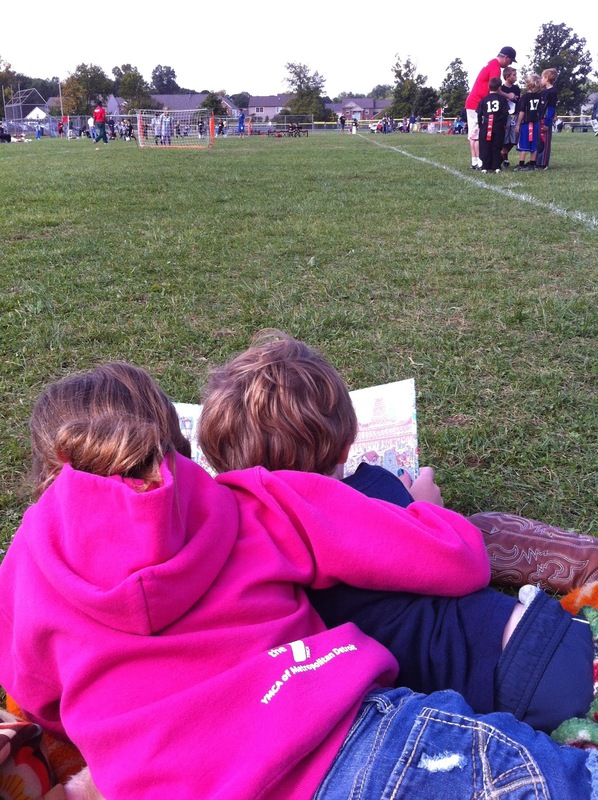 They also love reading on their own. This photo is not staged. Peyton was so into his book on the Fourth of July, he couldn't be bothered by all the firework business the others were plotting. My Lucy is possibly the most book-ish of all of us. 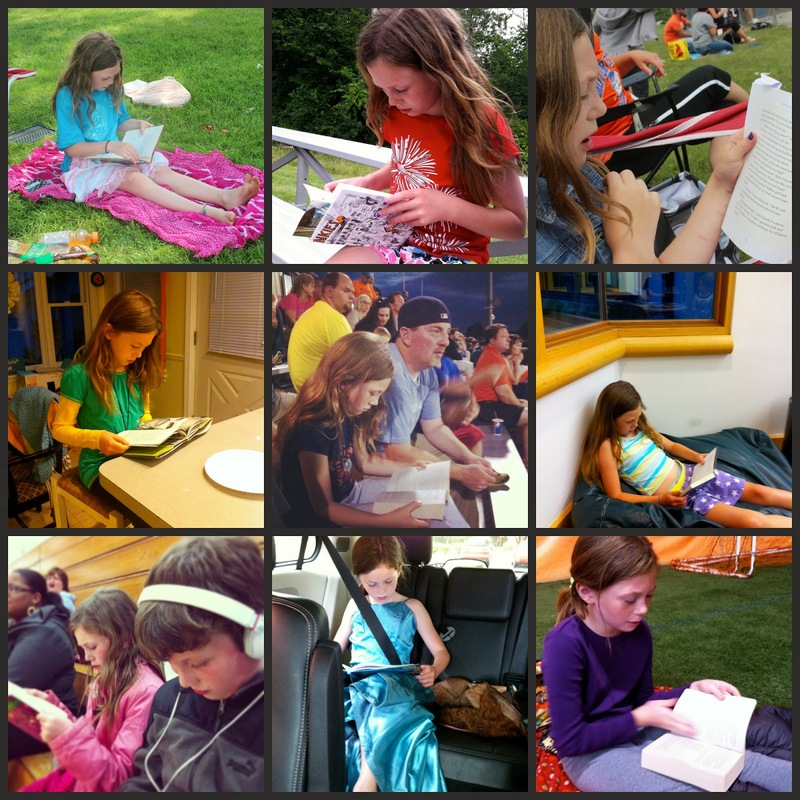 Her picture should be next to the definition of "voracious reader." Anywhere and everywhere Lucy has a book, always. Sometimes book people seem isolated and unsocial, but not Lucy. She can jump from book world to real world with great ease. In fact reading makes her come alive and engage more, after just one more page of course. She doesn't just read, she takes notes and studies the books she loves. I find notebooks full of details about her favorite characters. From vampires to Ramona Quimby to Harry Potter to biographies of Helen Keller, Lucy loves them all. When I got a chance to review and write about Travels with Gannon and Wyatt, I went straight for Lucy, voracious reader extraordinaire. At first I got an eyeroll which is what I always get when I suggest something. I said we are book people, not super sweet people. Lucy loves books, but she is a normal tween that is skeptical of any ideas I have. But it was a book, so she read and read and read. And she loved. One part of this book that is so great is that it has a notes or journal section in the back of the book. Perfect for my little note taker/researcher. Travels with Gannon and Wyatt is a middle-grade adventure series written by Patti Wheeler and Keith Hemstreet. They are based on the real-life travels of twin brothers. The books are full of adventure and action. Click here for more information (http://clvr.li/GNrZxQ). 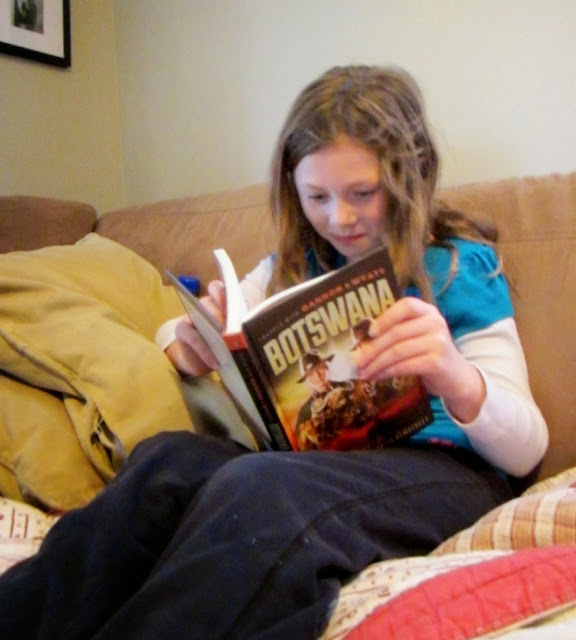 They take the reader along on a journey to Botswana,the Rainforest and Egypt. "It's really exciting," reported Lucy while reading the first book. "They get in some really dangerous situations. Like where they get surrounded by Rhinos in Africa." Basically, the books had her at "adventure." Lucy finished this book and quickly moved onto the next one in the series. 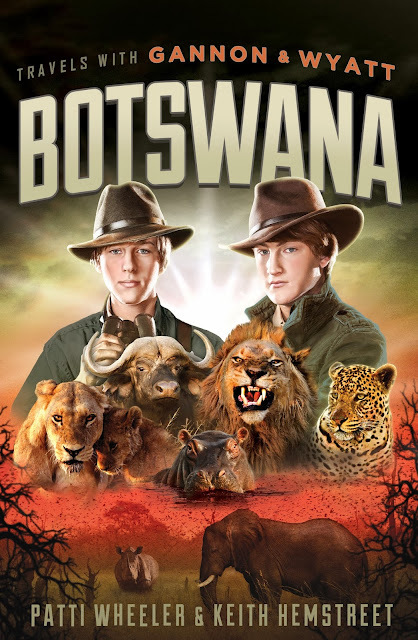 The books are about twin brothers who travel to all corners of the globe in the tradition of the historic journals kept by explorers such as Lewis and Clark. It gets the Lucy seal of approval. And now you and your family can go on the adventure as well. Just leave a comment and you could win all three books, just in time for the holidays. Are you book people? What kinds of books do your kids get lost in? Or leave a comment telling us what your favorite book was growing up? A winner will be chosen randomly next Tuesday, November 26. And head on over to the Travels With Gannon and Wyatt Facebook page for the chance to win a Kindle Fire. They are giving away three in the month of November. I love all books. my faves growing up were Ramona, anything Little House on the Prairie and the sweet valley high twins. I loved poems even more....collection after collection. my Molly is not much of a reader but when she finds something she likes....she will devour it and she does love adventure books.. She has read every magic tree house bookand of course the Ramonas...but those we shared. Great post. I totally am, and so are the kids. I wish I had more time in the day to just lie around and read! Wouldn't that be nice? My husband is SUCH a book person....he goes through a new book about every other day. I was obsessed with the Little House books as a child and now I read them together with my kids. 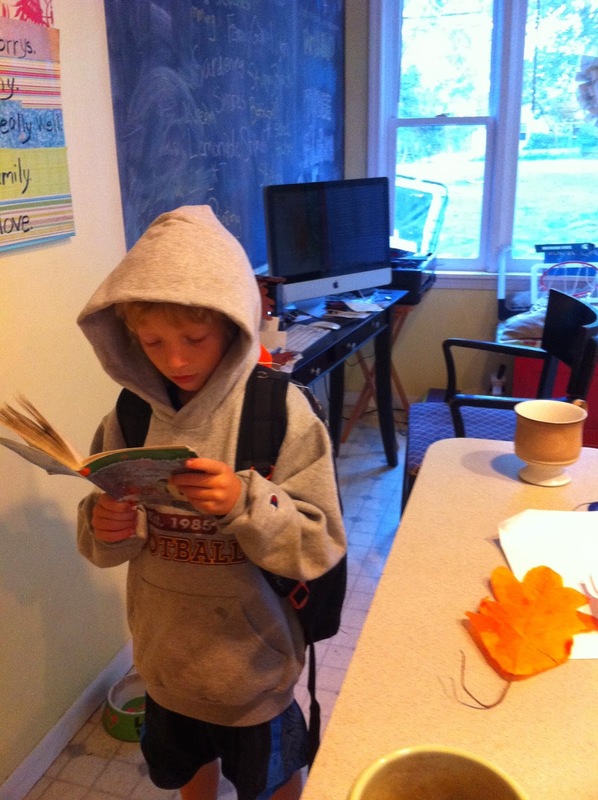 I am definitely a book person & my oldest son is very much a book person. He has read the entire Wheel of Time series. I prefer my reading to be a little more light & fluffy =) I am trying to get my youngest son to be a book person - he is who I am hoping to win these books for. 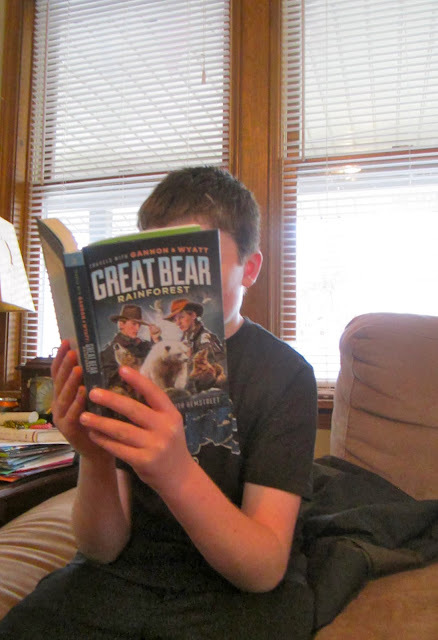 So far he has liked the Chronicles of Narnia & the Prydain Chronicles.